The promise of generating energy with nuclear fusion is tantalizing because it would be free of toxic emissions and nuclear waste, and would have a virtually infinite fuel supply. On the downside, though, it is extremely costly compared with fossil fuels like natural gas and coal. Now engineers at the University of Washington (UW) have developed a design for a fusion reactor that could be even less expensive than a coal-fired plant but boast similar generating capacity. The current design is for a reactor too small to generate much electricity, but the team is confident it can be scaled up to the size of a large power plant. “Right now, this design has the greatest potential of producing economical fusion power of any current concept,” Thomas Jarboe, professor of aeronautics and astronautics and an adjunct professor in physics, told the UW news department. 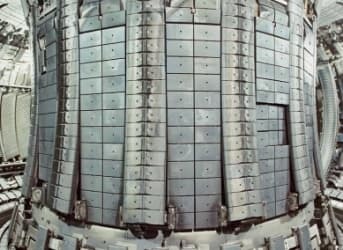 The engineers already have published the design, along with a cost-analysis study, in the journal Fusion Engineering and Design, and are scheduled present their findings at the International Atomic Energy Agency’s 25th Fusion Energy Conference in St. Petersburg, Russia, on Oct. 17. The dynomak, as the reactor is called, began in 2012 as a mere student project for a class taught by Jarboe. Later Jarboe and a doctoral student, Derek Sutherland, worked to refine the concept. Their plan was to create a magnetic field within a closed space to contain plasma – hydrogen gas rich in electrically-charged atoms – long enough to heat the plasma to the extreme temperatures needed to maintain thermonuclear conditions. This intense heat then would be transferred to a coolant fluid that would spin a turbine to generate electricity. The UW power generator’s design, called a spheromak, also generates most of its magnetic fields by impelling electrical currents into the plasma itself, reducing the amounts of materials needed to generate and maintain thermonuclear fusion and thereby reducing the size of the reactor altogether. Jarboe’s team says their reactor is an improvement on previous designs for fusion reactors, including one called Iter that’s now being built in Cadarache, France. Iter needs to be larger than the UW reactor because it needs superconducting conduits that coil around the exterior of the reactor to generate its magnetic field. And because of the UW reactor’s size and its need for fewer ingredients to create fusion, it would cost one-tenth as much as the French reactor, yet produce five times more energy. 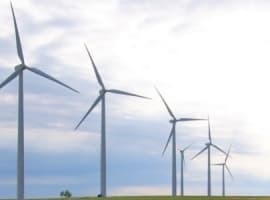 As for cost analysis, the UW team compared the amount of money needed to build a coal-fired plant and a fusion power plant based on their design, each capable of the same electrical output. The coal plant would cost $2.8 billion, and the fusion plant would cost a little less, $2.7 billion. They're talking design. They haven't reached ignition of any element yet. If they reach the energy break even point then maybe they'll be closer to fusion. This article sounds like nothing new or that exciting. They have a long way to go, unfortunately. Typical fusion hype,it's 40 years in the future and always will be.Nothing new here,it'll never be viable and probably never give net energy.See you here in 6 month for the next article saying exactly the same thing. Its funny, a few days after "Cold Fusion" has been validated. Suddenly everyone has a "Fusion" device. With the Advance of Low Energy Nuclear Reactions (LENR) field seems to have accelerated things in the "hot" nuclear fusion space. The Big Boys realize that they may become obsolete (with the Billions they've invested) if they don't get a move on. Andrea Rossi's E-cat (Industrial Heat) . 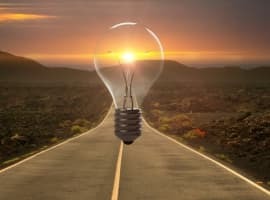 Randell Mills of Blacklight Power, and Solar Hydrogen Trends, have kicked off a mad scramble what will be defined as the "New Energy Race" Trillions of dollars are at stake. In the next year we will see how abundant our Energy Options actually are. Pay attention. The fight has just begun.? The main hold up in producing clean safe fussion power is lack of cash but with China, India, Russia now contributing large amounts of cash to the European experimental reactor under construction in France means it is now getting much closer to producing fussion energy on a commercial basis, bearing in mind the UK and USA have been successfully producing fussion power for several years. The USA have recently had a major break through on its own project meaning Fussion is now more a reality. 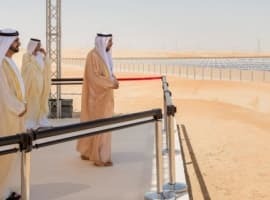 There is a world push for safe clean energy as scientists have alerted governments of the great need to replace fossil fuels and not to be relient on oil. The most pesimistic scientists are guessing fussion will be up and running in 25 years while the more optimistic say 10 years, who knows for sure only one thing is certain it is coming.!!!! !